Yangon, Myanmar, 2 May 2018 – H.E. 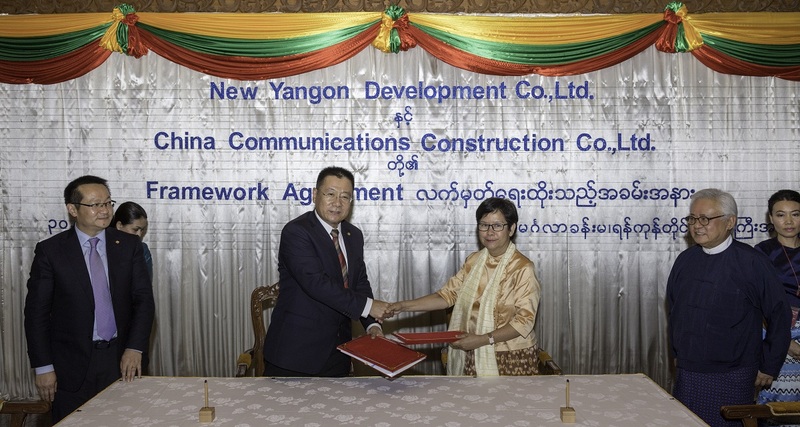 Daw Nilar Kyaw, Minister of Electricity, Industry, Transport and Communication and Chairperson of New Yangon Development Company Limited (“NYDC”) today signed a framework agreement with Hong Kong-listed company, China Communications Construction Company Ltd. (“CCCC”), for the preparation and submission of a detailed project proposal to provide infrastructure works related to the first phase of the development of the New Yangon City. The framework agreement marks the first stage of the NYDC Challenge Model where a company that is qualified and competent to undertake the first phase of the development is selected to submit a set of Pre-Project Documents (“PPD”) which includes technical specifications, financial proposal and business model for NYDC’s review. Once the PPD is submitted and approved by NYDC, it will be made public to allow any qualified party to challenge the agreement with better terms on the basis that it strictly adheres to the terms and conditions of the tender assessment criteria. The first phase of development will include the construction of five village townships, two bridges, 26 km of artery roads, 10 square kilometres of industrial estate, power plant, transmission and distribution facilities as well as fresh water supply and wastewater treatment plants. The NYDC Challenge is an adaptation of the global model of the Swiss Challenge which allows fair competition, efficiency and ensures ultimate transparency. As part of the NYDC Challenge, should a second party challenge with a lower bid, CCCC will be allowed to match the offer or forego. If CCCC chooses to forego, the second party will be awarded with the contract and will have the obligation to reimburse all costs incurred in connection with the preparation and submission of the PPD. Those costs will be agreed between NYDC and CCCC prior to the initiation of the tender process. New Yangon City is envisioned to be a safe, smart and clean city that will serve as an example of efficiency, integrity and accountability, and takes inspiration from other regional Greenfield cities like China’s Shenzhen and Shanghai Pudong. 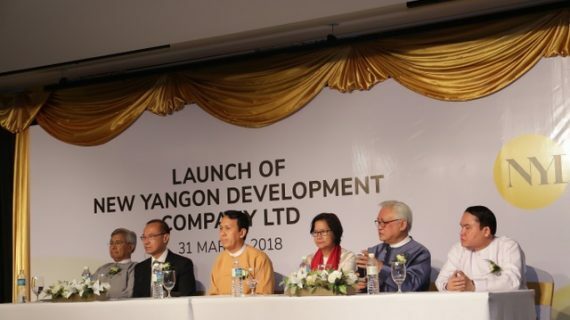 NYDC was incorporated to undertake the development of New Yangon City under the Special Companies Act and is fully-owned by the Yangon Regional Government. China Communications Construction Company Ltd. is one of the largest companies in the global infrastructure industry and is listed on the Hong Kong and Shanghai stock exchanges, with a presence in over 120 countries. CCCC and its subsidiaries are principally engaged in the design, construction and investment of transportation infrastructure, dredging, multiple city developments, industrial zones developments and heavy machinery manufacturing business.